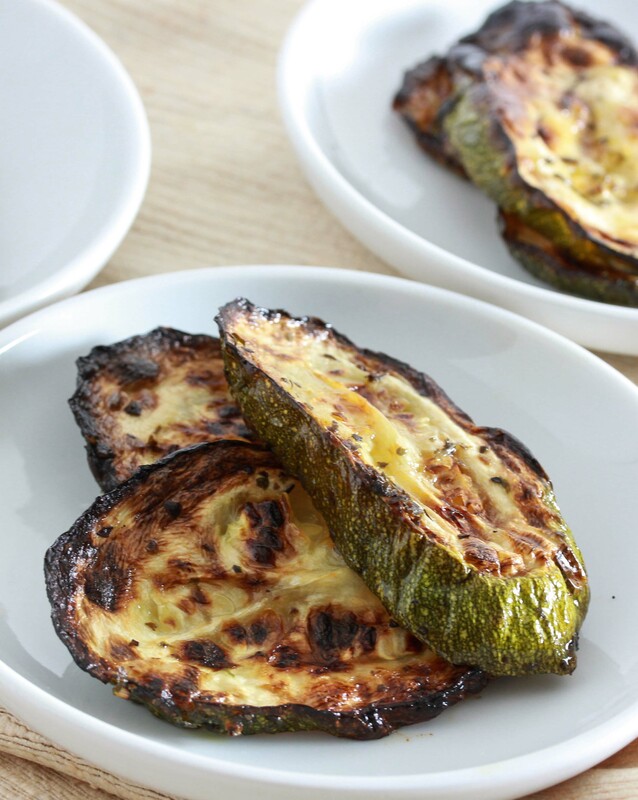 Discover the most flavorful way to grill your zucchini this summer. Read on! I know. I know. Grilled zucchini. Yawn. Next. Right? I was looking for a vegetable to choose, and my eyes stopped at the grilled zucchini. It looked fine. Good even. I was about to order it, but then I stopped and realized that I just couldn’t bring myself to pay someone else to grill my zucchini. Plus, mine is just so good. And I can’t imagine that their zucchini compares. So I went home and I grilled some zucchini. And as I sat there enjoying it, I knew I would have to post my recipe. It may be simple, but it’s bursting with flavor, and really pretty good for you. Plus, what says summer like zucchini straight from the grill? Cut the zucchini into thin slices, about 1/4 of an inch thick. Place in a large mixing bowl. Add the rest of the ingredients. Toss to coat everything evenly. 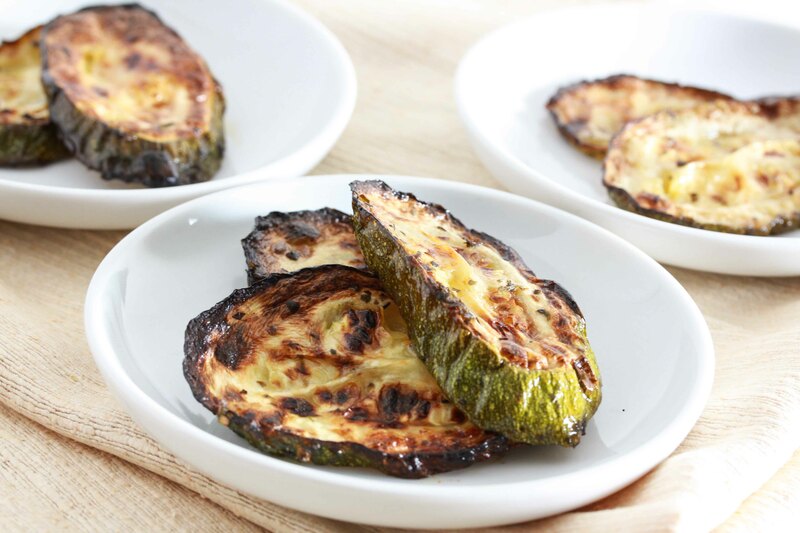 Place the zucchini on a grill, and grill for about 10-15 minutes over a medium-high flame. Turn over and grill for an additional couple of minutes, about 5-8, until tender all the way through and lightly brown on both sides. There’s so much things you can make with Zucchini, and as you said, it’s not as boring as you may think. I made this wonderful Zucchini pizza the other day where I swapped the pizza crust for sliced zucchini and the result was awesome! Homemade is always, always, ALWAYS better for you than storebought. Chances are the grocery version was chock full of sodium, blah. And my guess it did not take very long to make! I grill zucchini all the time; it’s even good plain! I’ve grilled/sautéed it with these spices before (yum) but I’ve never thought of adding red wine vinegar. Sounds great; will have to try it. Thanks! how does the taste of zucchini differ from that of a cucumber? Lately, I’ve been roasting the heck outta zucchini and eggplant but I haven’t done anything but flavoring them with salt and pepper so it’s great to see a taster alternative. This looks really good! Sometimes the simple dishes are the best dishes. Permission to share this recipe & a few others with credit back to you on our blog? Great way to enjoy zucchini this Summer! I totally love grilled food! I totally love grilled zucchini too! We make it often — I’ve never marinated before though. sounds great! Miriam, will a George Forman work for grilling zucchinis? If so, how long do I grill it for? to grill in an oven would i broil it in high? Hello Miriam ,my Supper Savior! 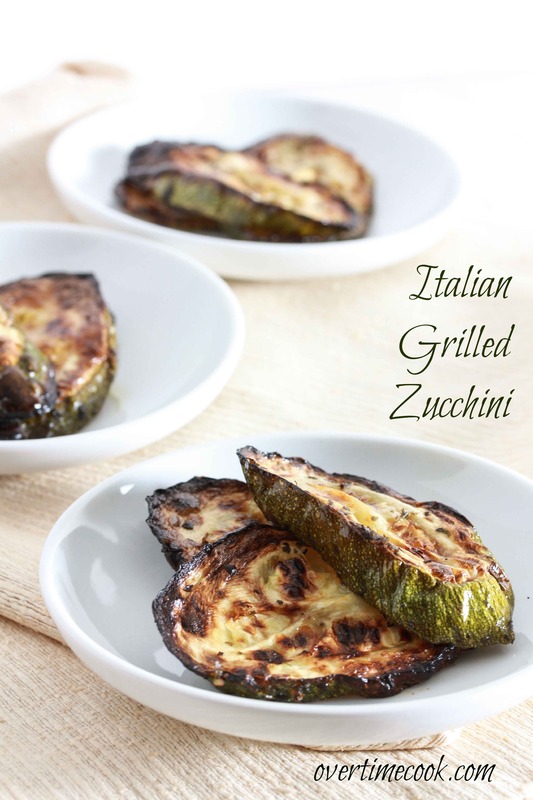 Do you grill the zucchini directly on the grates or ina pan on the grill?